Director Amir Amirani’s stirring documentary We Are Many (2014) about February 15th 2003, the day that protesters around the world took to the streets to march against the imminent invasion of Iraq, offers a rousing and timely antidote to post-election apathy and despondence. Now in its fifth year, the Free for Arts Festival was organised by four graduates from the Visual Arts programme at The University of Salford. 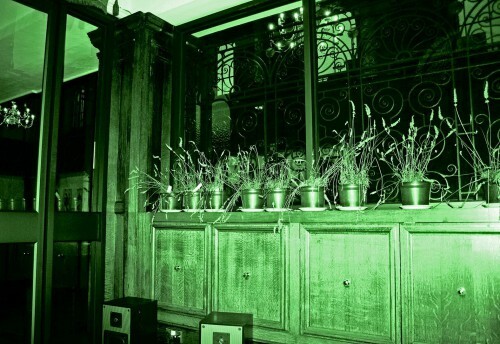 It included work from over 100 artists, spanning 19 venues across Salford and Manchester. Comedy sketch show Perverted Moves in the Dark is unafraid of offending and takes every opportunity to be as riotously sexual as possible. 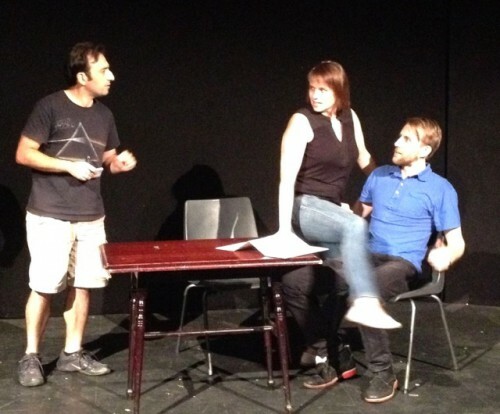 The show at the Three Minute Theatre at Affleck’s Palace, written by Sharon Heywood and Amir Rahimzadeh, is at its funniest when it introduces bizarre juxtapositions. 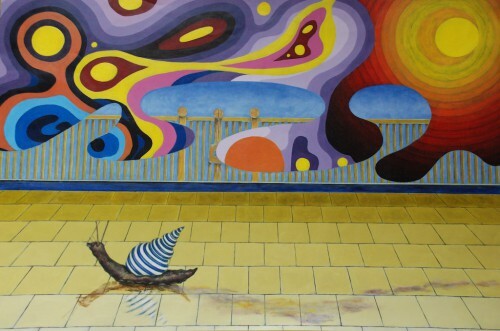 A snail with blue and white striped shell makes its way towards distant gates on the horizon, under a cloud of psychedelic colours. Sean, an inmate of HM Prison Garth, has painted the standout piece Snail Porridge, of the recent eponymous exhibition at Castlefield Gallery. 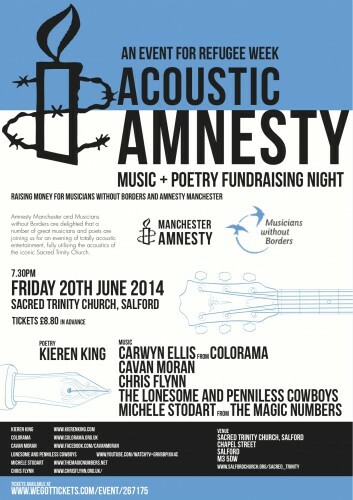 For a fundraising gig on Friday, Salford charity Musicians Without Borders has teamed up with the local Amnesty International group to celebrate Refugee Week 2014. The organisation uses music to help communities affected by war, displacement and torture deal with trauma. Musicians Without Borders has been running projects all over the world for 15 years.